Counting activities are so much fun! Especially when you can use the activity in a variety of ways with many different manipulatives. 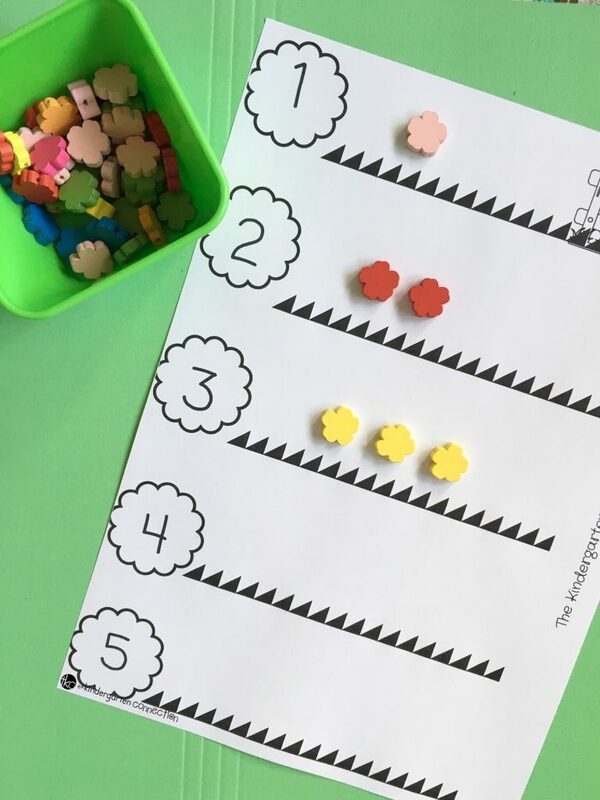 Counting practice and one-to-one correspondence just got so much fun with this Flower Counting Activity! 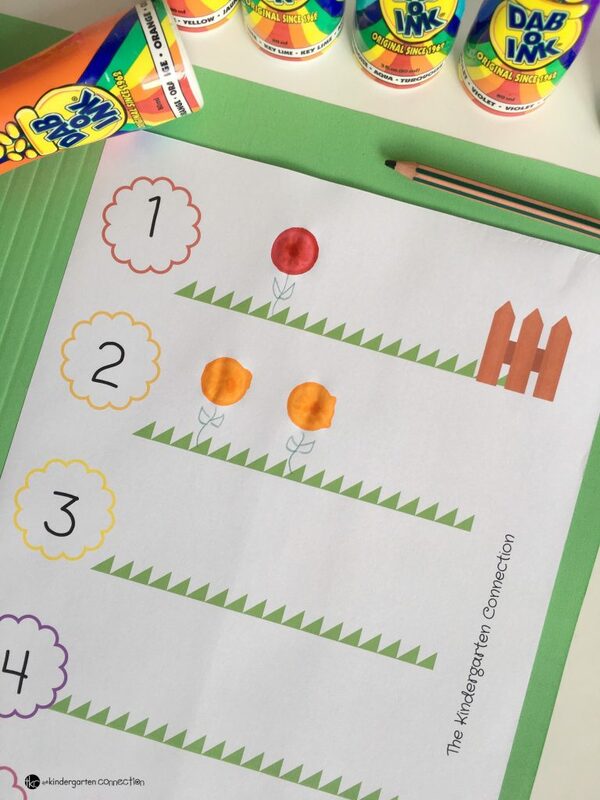 Teach counting and one-to-one correspondence in a fun way with this FREE printable! I would suggest using this activity in small groups or your math center. 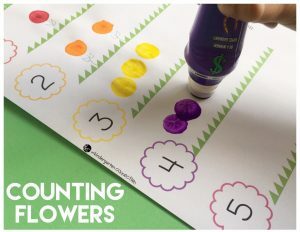 I am so excited to share with you all of the creative ways you can use this Flower Counting Activity in your homeschool or traditional classroom! Our favorite way of using this flower counting printable is with Dot Art Daubers. There are a variety of styles, colors and brands. Just grab your favorite from your local craft store or grab some here! Students can hand draw little flower stems and then dot their favorite colored dot art dauber onto the flower stem. Early Learner Tip: Hang a counting poster nearby as a reference for your early learners. 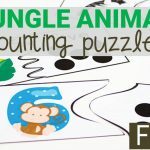 You might even provide a counting sheet with numbers 1-10 on it with corresponding objects. If you’d rather have a non-messy option, you could provide your students with mini flower erasers or colorful pom poms. A Fun Extension Activity for early learners is to make each flower a different color so that students can work on color recognition too! Simply dab each flower number with one color ahead of time. Then, students will “dab” their flowers to match the color that corresponds to the color of the flower number. Fill up your garden with flowers- remember to add the stems, and have fun counting (and dabbing) flowers! If you’re ready to grab the Flower Counting Activity, then click on the large, yellow button below! 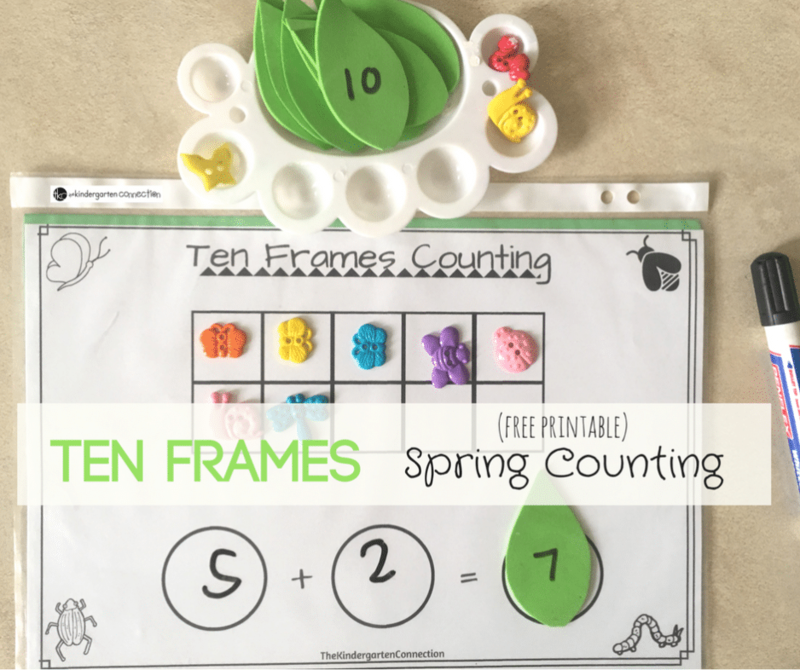 Then, hop on over to see our Ten Frame Spring Counting Activity!